[How To] Boot Games Off USB (External Hard Drive) With Playstation 2 (PS2) | Welcome to the Underground. Posted on January 12, 2008, in modding, playstation 2 and tagged .9, 0.5, 0.6, 0.7, 0.9, cable, Crossover, External, FMCB, freemcboot, HDALoader, Matrix, Mod, modding, Network, Networking, Open, OpenPS2Loader, OPL, playstation 2, ps2, PS2Loader, PSX-Scene, Router, SMB, sony, Swap Magic, USB, USBAdvance, USBExtreme, Versatile. Bookmark the permalink. 2,109 Comments. USB Advance is another option for users. I can’t download this pack, please put on mediafire or solidfiles.net. Give me link to psx-scene post. And idk why i cant able to put the link? I’ve downloaded your cruiser pack, do i have to boot ps2 with cruiser pack dvd inside every time want to play game or it can be save in memory card and we just have to boot via cruiser pack dvd once only. The DVD is way too large to save via memory card. Boot the disc every time. Could I use an external HDD with multiple partitions? I have a Wii USB Loader Parition, then a normal Windows Partition. So could I just create a third partition to use for the PS2? Yes that still works through USB or SMB or appropriate disc backed up method. Change the device and try again. Buy it online from estarland.com. The best version is swap magic 3.6+. Try pressing …L1+L2+L3 + R1+R2+R3…simultaneously ! it may work in some games! You have a modded ps2? Try your favorite torrent site maybe? How do I load fifa 13 on a flash drive and play on ps2? when i start the game (tekken Tag) it freezes on white screen after Namco logo kazuyu comes and then the video freezes (no sound also) just 1st time the sound comes for 2seconds and then it freezes on white screen if i press start button after namco logo it freezes at black screen ? what’s wrong can you plz explain ! is there any alternate way for swap magic disc? please help me to play with hard disk. my fb id is Facebook.com/tec.anbu. You have modchip, what else do you need? my flash drive is not detected on usb extreme..
My PS2 SLIM load too slow and can’t even read fast the games in my SEAGATE USB HDD 5GB. Its like stuck loading the game in the usb advance forever. Did you try to defrag? Hi whats thw best way to load games using a 500 gb hdd (regarding loading times of the games ) ? Using it as mass storage device or as a hdd with opl ? Use it as hard drive with OPL. Can i burn ulancherELF or USB advance .. what is better ? OPL 0.9.3 is better. Ulaunchelf is a file explorer tool, it doesn’t play usb games. 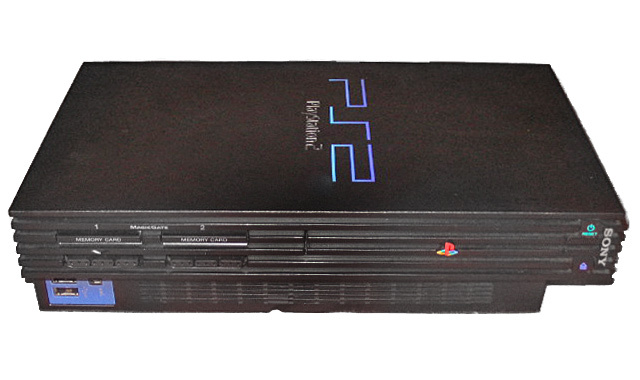 My ps 2 MODEL SCPH -90006 I need to play via USB any body help me how to chip? Time to buy a modchip or swap magic, if you can find it. i just got a ps2 and my controller is without an analog could i still play games that require analog controllers. Will I also be able to make use of the ps1 backwards compatibility? Yes using popstarter and playing from usb. Yes if you put them in an external enclosure. If you have a fat ps2, then use network adapter to play. Do we need to modify ps2 slim (i.e., tape-straw method) to allow play of ps2 games from hdd or usb flash drive using OPL? Been trying to load games off my defragged flash drive. It gets past those flashing colored screens but then it gets to a black screen and gets stuck there. Turn off fragmentation check, see if that helps. If not, then play from smb. Actually, get OPL 0.9.3, and then make a DVD folder on root of fat32 usb, and put your ISO file in there. It is simpler and no need to use usbextreme or command line. I used USB insane to rip iso more than 4 GB!!! I have ps2 with martix infinity hard moded chip, I want to know how to copy game to hdd to play? If it is usb, use OPL 0.9.3 and make a DVD folder on fat32 device and put your PS2 iso files in there. Connect the hard drive to pc and use winhiip to transfer iso files. Then use hdloader or opl to play. Get OPL 0.9.3 and FMCB and play games via usb. Pingback: How To Play PS2 Games Off of USB Hard Drive Using OPL v.9 Tutorial!